Another month and it is time to go back to the fairs, only two this month both in London. And for everyone coming along, we have some new items to display. 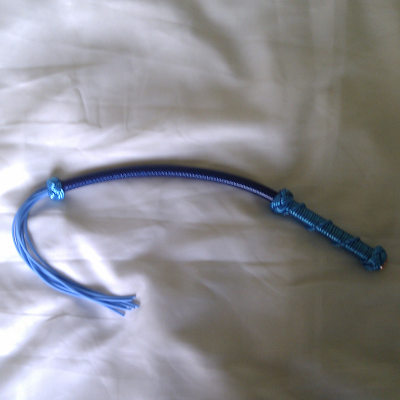 Firstly we have out "Pocket Snake" short whips. These whips feature a 12" tubular PVC tail, and 8 short stinging tails, black Butyl on the Greensnake, and Blue rubber cord on the Bluesnake. 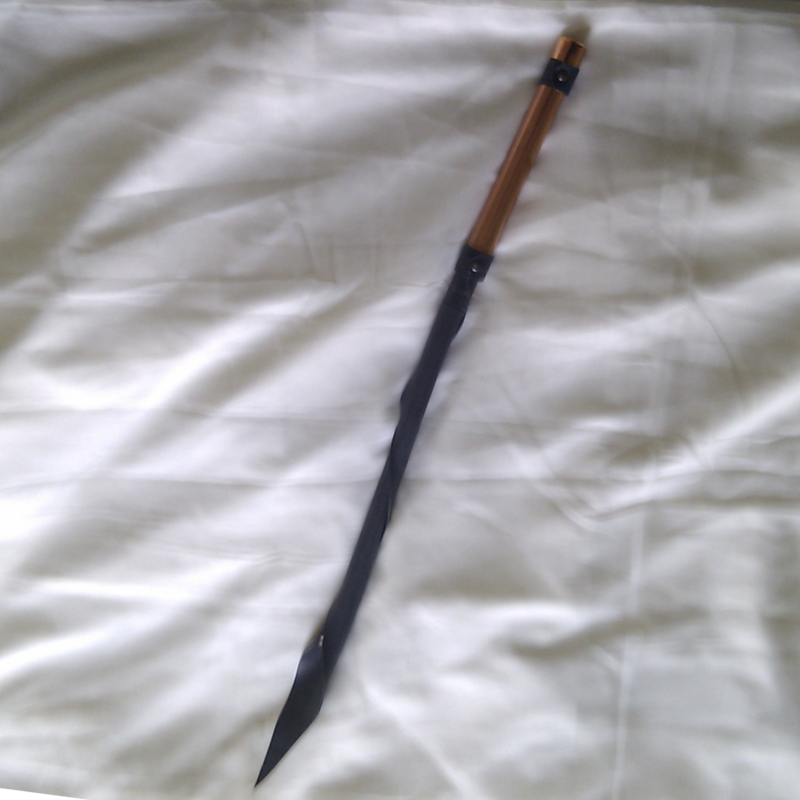 And the new Rubber 2 tail Tawse, Sorry about the terrible photo, but this toy really packs a wallop, 6mm thick Neoprene and a 22" total length makes for an impressive instrument. The original Tawse, made from a single strip of edged leather, split into 2 or more tongues, was the official punishment tool in Scottish schools right into the 80's. Although it fell from favour, it wasn't actually banned until 1987.